Company preparing to step up marketing with virtual reality plantation experience at Fruit Logistica in Berlin. 3 Bananas: has a 'race to the top' begun? Multinational fresh fruit and vegetables company Dole is planning to underline its pioneering abilities as a major produce supplier with the development of a specially created virtual reality app. Users of the app, which will be available to try at Fruit Logistica 2017 this coming February, will be able to enjoy a 360° tour of one of the group’s banana farms and watch as its employees go about their work. “This state-of-the-art technology will not only captivate visitors, it will also convey relevant brand values in a way that inspires an emotional response,” explains Sonja Schulze, marketing manager at Dole Europe. It’s not the first time Dole has sought to blaze a trail in terms of its communications and brand strategy. 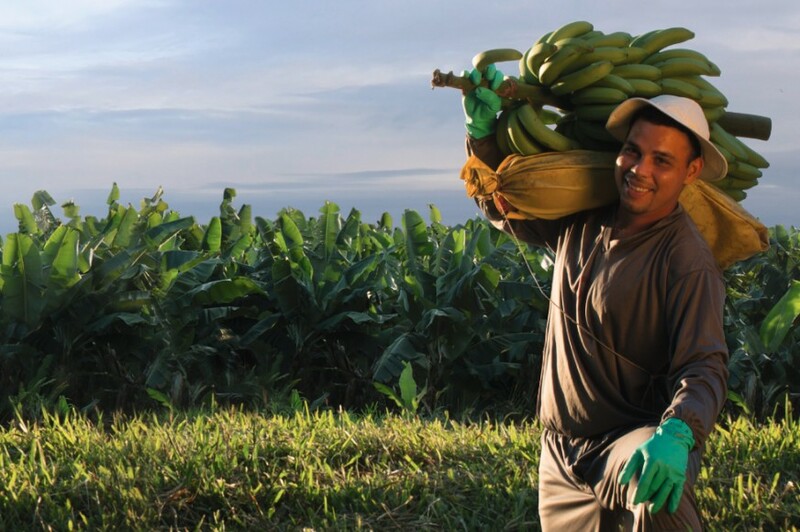 Five years ago, the group used its Dole Earth campaign to allow consumers and partners to form their own impressions of banana cultivation and, by means of an elaborately produced video, to find plenty of background information relating to plantations and the people working there. Now, Dole hopes to retain its cutting-edge position by offering a fully immersive marketing experience.